Hi Sin City Friends and fans! It is my turn on the blog to share some of my work to inspire you to create something amazing with Sin City Stamps!! 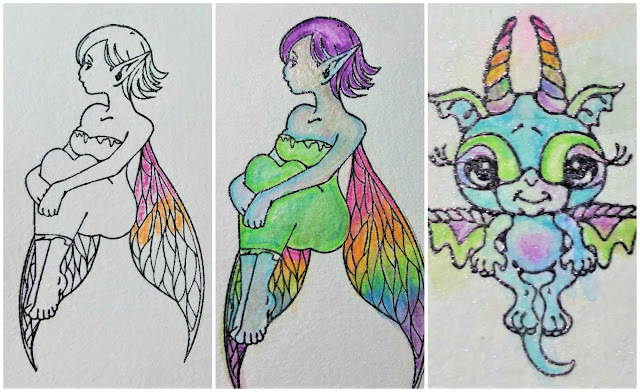 I just love these whimsical fairy and dragon stamps! You can purchase this set by clicking the image below. There is a sequel to this set available as well! For this journal layout, I used a combination of products and several techniques. 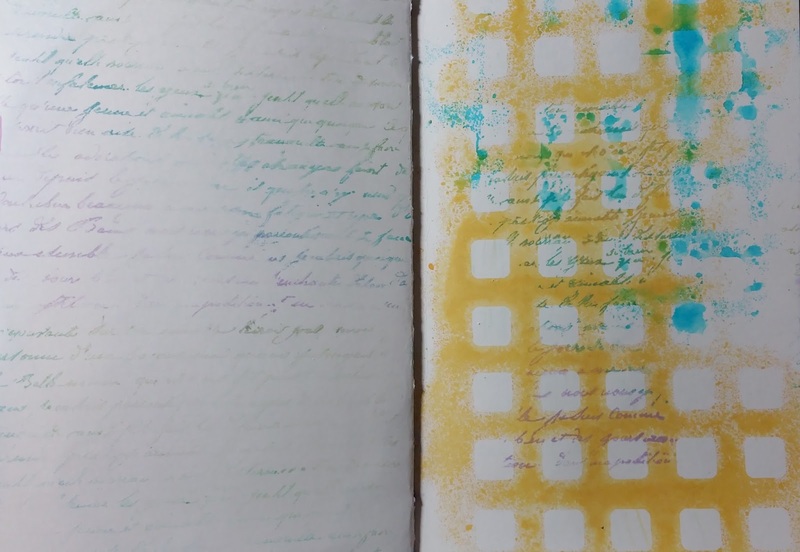 I started with a script stamp that was inked with a rainbow of colors as the base. 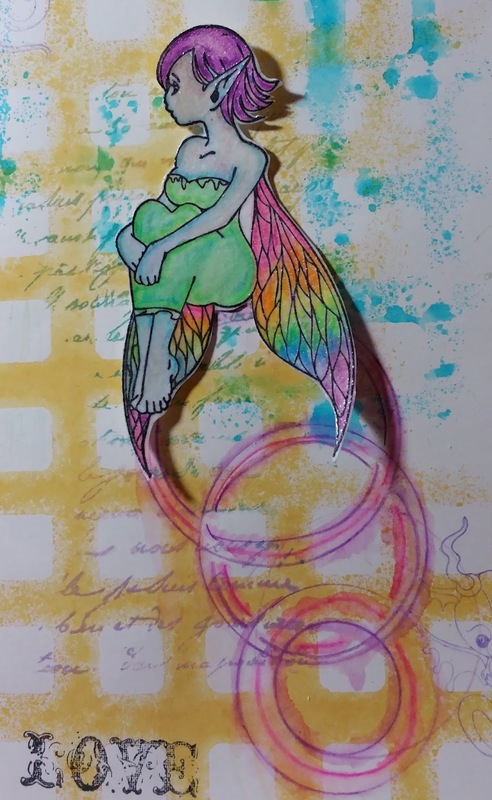 I used chalk inks. Let this dry before proceeding to next steps. Spritz some ink in colors of your choice on a craft mat. 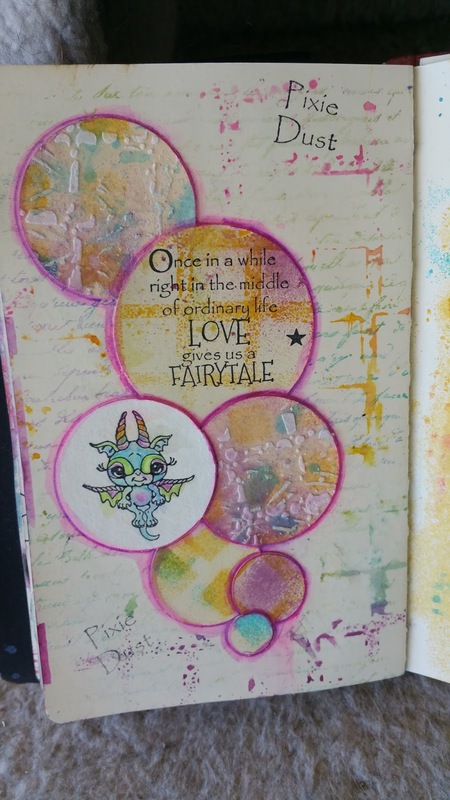 Spritz with water and then dip stencil and lay on your page. Dry and repeat with next color. I used Art Anthology Colorations in Timeless and Waimea Bay here. 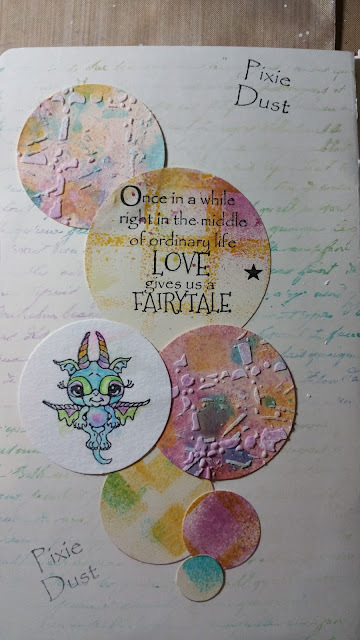 Stamp images onto a watercolor heavy paper with black ink and sprinkle with clear embossing powder to achieve a raised outline. Activate powder with a heat tool. 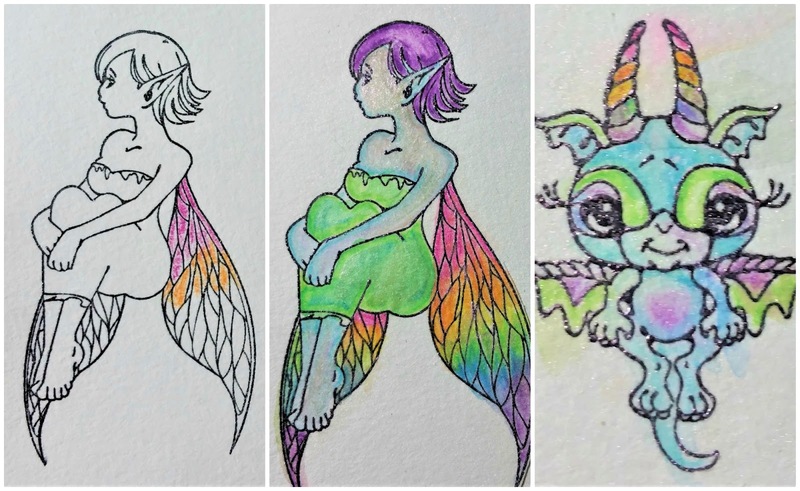 To color images, use a water brush and watercolor pencils or paints. Once dry add a pearlescent spray or powder for some glitz! 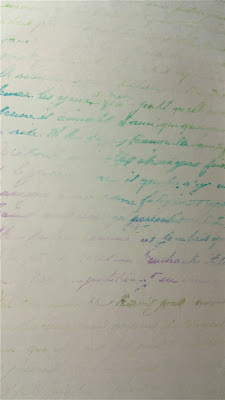 **TIP** cover your colored images with a watermarking or clear embossing ink and coat with clear embossing powder. Activate with a heat tool. This enables you to add water and other wet mediums once these images are on your page without changing the image colors. Blend and dry in between colors.Fussy cut fairy image and use a circle punch for dragon and set aside. 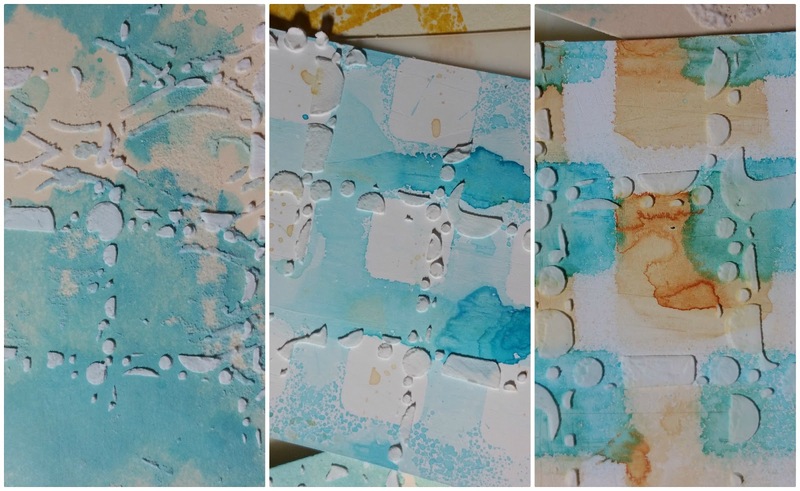 Using a heavy cardstock create a background that uses the same color palette as your images. For this I used stencils, texture paste, and spray inks. 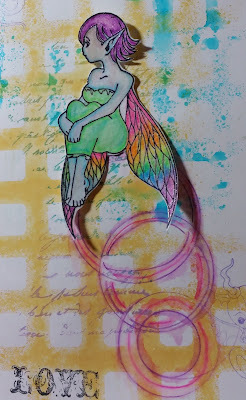 Use a variety of coordinating ink colors with stencils, drying in between. For texture add texture paste through another stencil. You can layer as much as you like so play! Have fun! Once you achieve the pattern you like, use circle punches in various sizes to cut out and set aside. 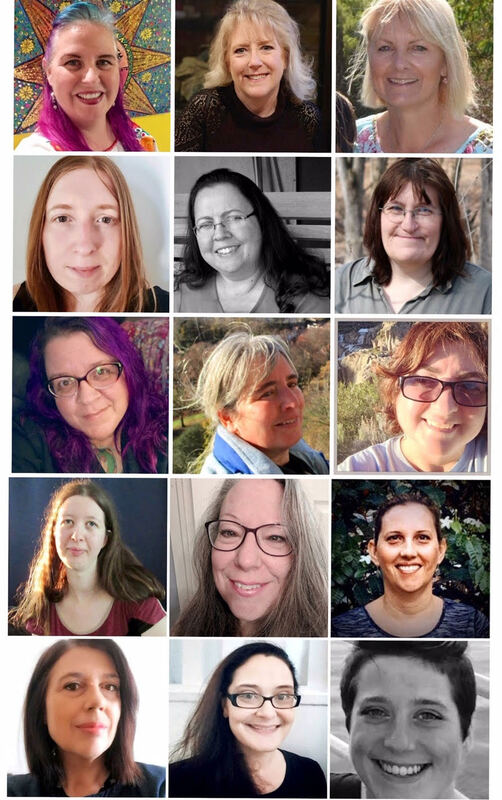 I added a few other colors than what is shown above. 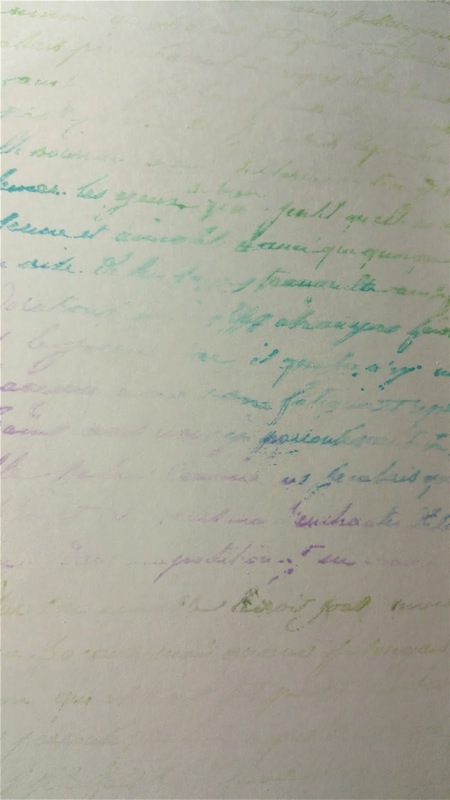 A pink and a purple were used. 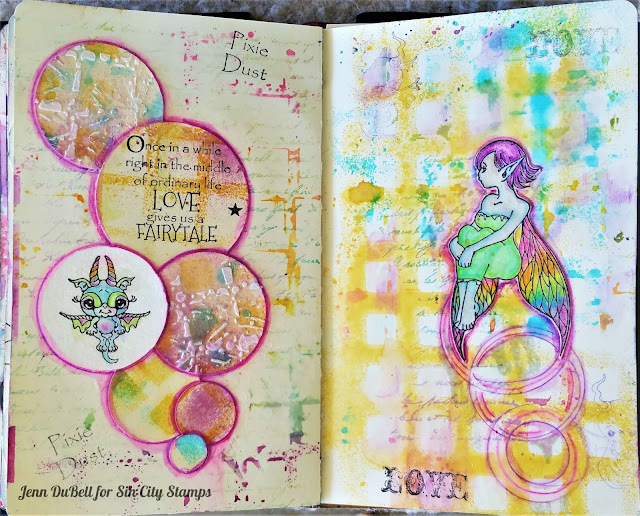 Using a matte gel or other adhesive arrange and adhere your circles to your page. On the other side add some hand drawn circles with watercolor pencils and water brush. 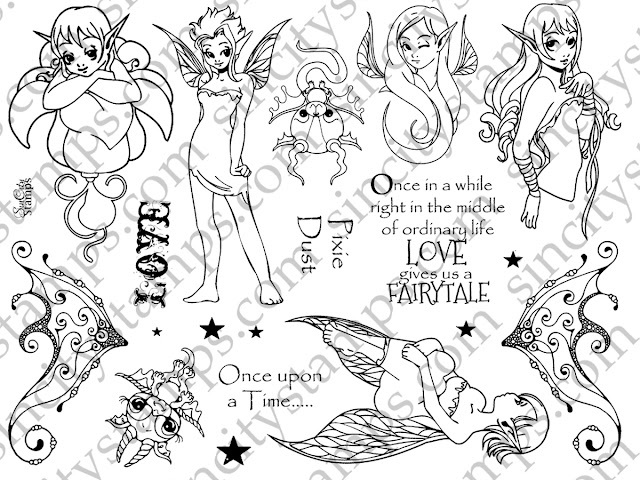 Then adhere the fairy image. Choose a pencil in a bright coordinating color such as the hot pink I used here and outline circles. Go over the drawn outlines with a paintbrush or water brush. As a final touch, I spritzed a few colors on the back of a stencil in a rainbow and lightly patted on this side to add a bit more color. Be sure to follow us on our Facebook Fan Page here and show us your crafty creations! 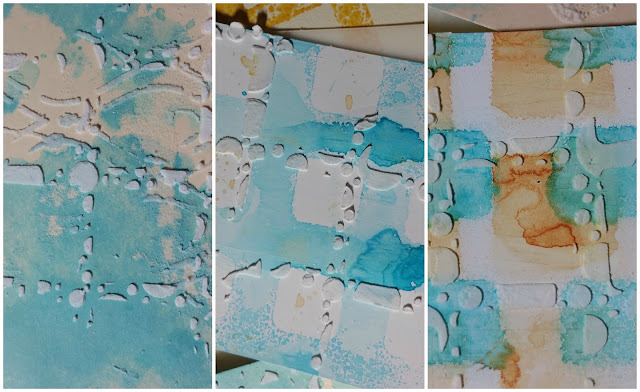 More Mini Cube Embossing - Quick Ideas!